For my 2nd space of the Fall 2017 One Room Challenge I’m also sharing my inspiration. Again, I spent most of the week planning and figuring out all the details. Next week I hope to really start making progress, including painting my crib. 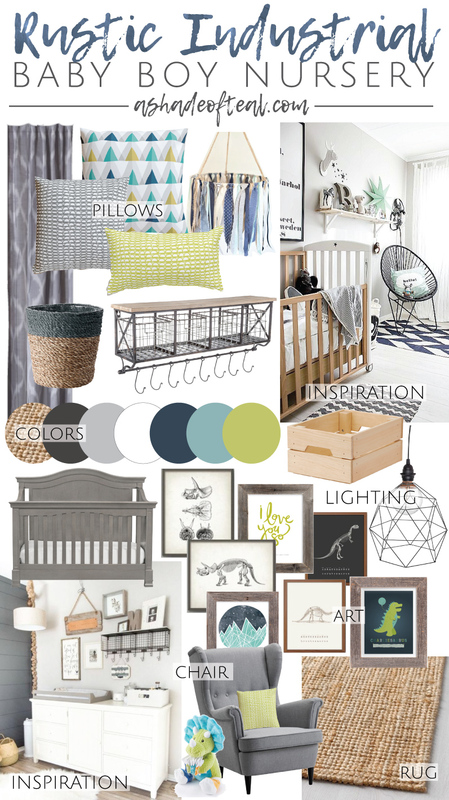 To give you a refresh, my second space will be a Nursery for our future baby boy! My theme for this space will be a “Rustic Industrial” style. It will be a little modern farmhouse meets industrial. The colors will be grey & black tones mixed with navy, aqua, and a pop of lime green. I’ll also have a Dinosaur theme, but keep it minimal. That’s it for this week on my nursery update! I plan on having a much more progress next week. oh this room is going to be so cozy! I love all the soft grays.